“Oblivion: from “Five Minutes”, Choreography by Amanda Selwyn. Photo by Samantha Siegel. 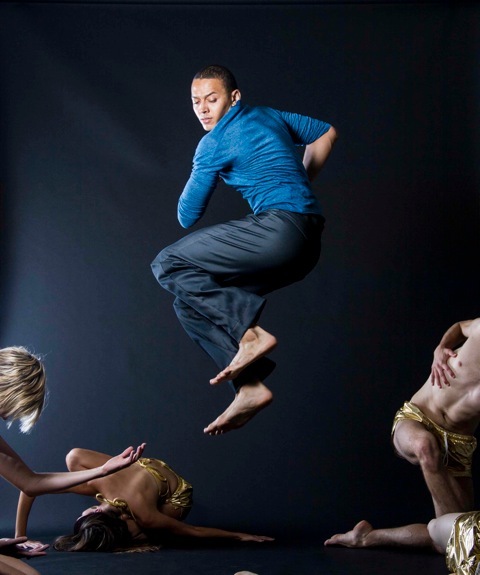 There were some real treats shown at Fall Further, the Pentacle Gallery’s showcase at the Ailey Citigroup Theater. Fall Further was a showcase of new works and touring repertoire of the dance makers and dance companies represented nationally by Pentacle. This is the first time Pentacle has presented such a show case. The first performance of the night was from Dance Iquail! I had to remind myself to close my mouth at the end of the performance because from the moment Isquail Shaheed started dancing I was stunned. I literally sat there though out the whole performance with my mouth open. 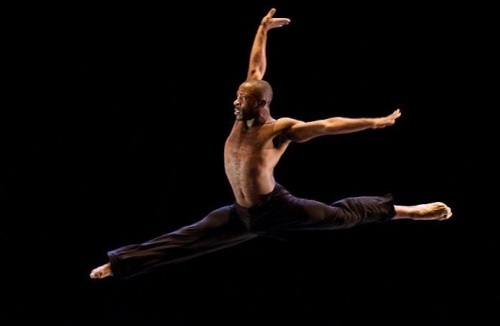 Iquail Shaheed is a perfect example of this generation of male dancers. He was technically superb, artistically infallible and there was nothing he seemingly could not do. He did not just dance but instead he attacked each and every movement he made with total commitment of body and spirit. “Night Falls” was a solo for Mr. Shaheed that was choreographed by Christopher Ralph and what a solo it is. It was a tour-de-force of passion and athleticism that Mr. Shaheed colors with his musicality of movement. He begins the piece with quick chaînés across the floor arms wide and this is just to get our attention. Mr. Shaheed never stops once he starts moving; turns in attitude, en dedans and en dehors, leaps that kept his feet in the air as much as they were on the floor. But aside from the technical prowess, the dance at times did seem a little “So You think You Can Dance”. But, I think this should be expected from the current generation of dancers that have grown-up watching the show. I would recommend you see this young man dance, just remind yourself every now and then to close your mouth. The Barkin/Selissen Project’s “Et Tu”, choreographed by Kyla Barkin made me smile. It was the exploration of what a couple experiences in the ups and downs of a relationship. Did I love it, no, did I like it, yes. Collective Body / Dancelab presented an excerpt from “Let’s Pretend We’re All Wearing Sunglasses” that was superb. It was choreographed by Brian Carey Chung to the music of M. Anthony Reimer and was a solo work for Clifton Brown. Mr. Brown infused the dance with such heart-felt emotion; you felt his despair, his questing for answers to difficult questions. The choreography tended to be angular, both in direction and shape. You are conscious that while watching Mr. Brown dance you are privileged, for he is such a masterful artist of his craft. 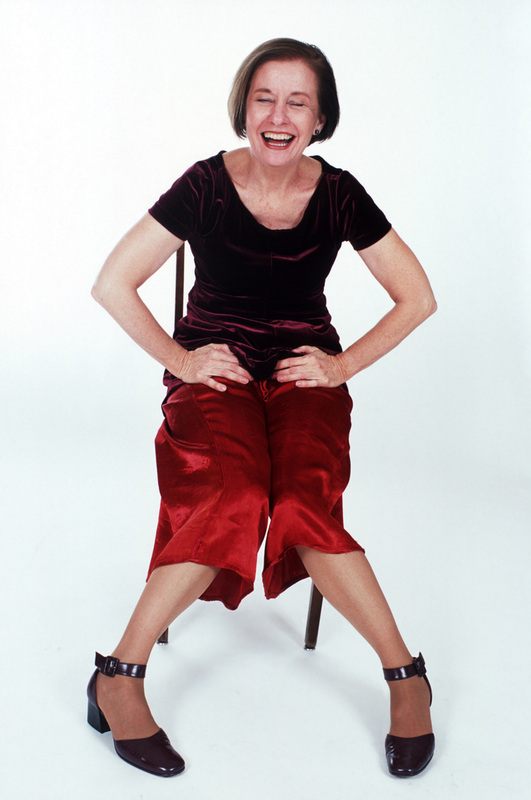 Claire Porters/Portables presented “Fund Raiser”, choreographed, written and performed by Clair Porter. Now I have seen Claire Porter once before and was blown away by her performance, I was blown away with this one as well. Ms. Porter assumes the persona of an over-stressed fund raiser, one who is determined to raise money for her organization, one way or another, whether though persuasion, pleading, bulling or guilt, makes no difference. Just so long as she gets the money. Every time I see Ms. Porter perform it has been a memorable treat. “Fund Raiser” was on this side of genius, somebody should seriously consider giving this woman an Emmy, Tony, Bessie or something because she is just very simply brilliant. Bryn Cohn and Artist presented “Shelf,” an intense duet for the two women choreographed by Bryn Cohn and performed by Rachel Abrahams and Emily Daily. The work’s movement pattern would arc gracefully, beginning with slow movements that would suspend then release to rapid gestures that would suddenly stop and then a varied repeat of the movement pattern would begin again. The programs notes state that “Shelf” explores the duality of co-dependence and failed communication that eventual brings a resigned disillusionment. At times it was quite conflictual with emotions that range from caring to anger and back again. The ending was very strong, a sudden halt in action then a blackout. It was well done and held my attention; I would like to see more of their work for this was a strong statement and intelligently expressed. Danse4Nia Repertory Ensemble: Photo by Alexander Iziliaev. 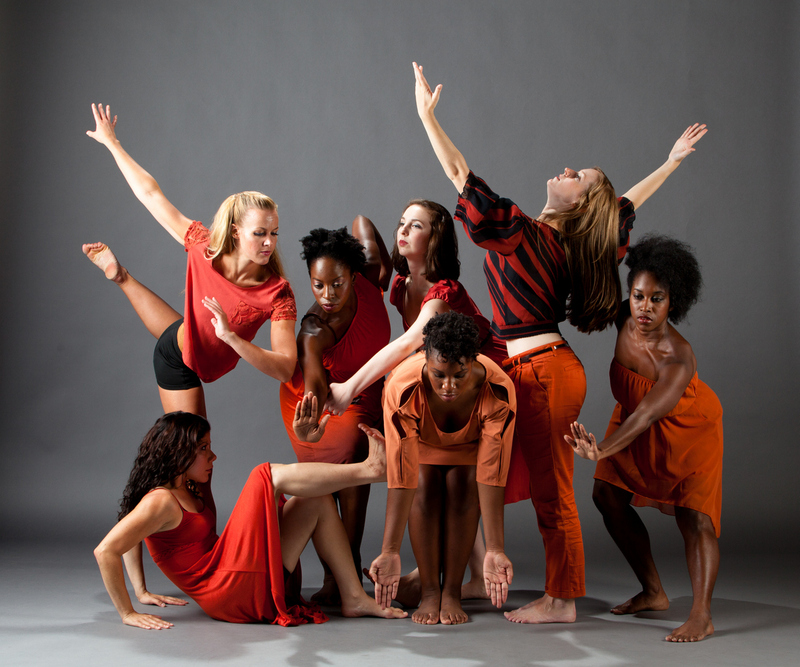 Danse4Nia Repertory Ensemble presented an excerpt from “Standing in My Skin,” choreographed by Hollie E. Wright. This is an interesting work that I am still processing. It is the journey of one woman’s self-discovery in five parts, danced by five women. Did I always get it, no, but it must be mentioned that this is an except of a longer work, so judging it only on this segment would be unfair. What I can say is that several days later I’m still thinking about the work. The dance had an urbanism that was apparent from the costumes, the music choices, the movement styles and the range of dancers chosen to perform. Was it Hip-hop, no, but was it evident that is was created by a member of the Hip-hop generation, very much so. The styled content speaks of today’s generation; a generation that is flooded with information daily and the impact imparted by music videos on today’s culture.. The Amanda Selwyn Dance Theatre presented two duets, both choreographed by Amanda Selwyn, an excerpt from “Five Minutes” and a duet from her recently premiered “Detour”. Both are strong pieces in themselves. “Five Minutes”, performed by Jenny Gillian and Louie Marin is akin to a tango of passion. There is a sensualness to the duet that cannot be missed. Ms. Gillian and Mr. Marin mirror each other in perfect sync, their bodies flowing around and into one another, it’s a beautiful dance. Where “Five Minutes” is a tango of passion, the duet from “Detour” was a waltz of tenderness. This duet moved me more than any other in the showcase, it possesses all the hallmarks of a great duet, longing, desire and a gentleness of emotion. The piece is performed by Catherine Coury and Robert Vail, Mr. Cory arches her back and Mr. Vail grabs her behind the neck with great tenderness, ensuring she does not fall. Mr. Vall reaction to Ms. Coury is that of holding something precious, something he values greatly. 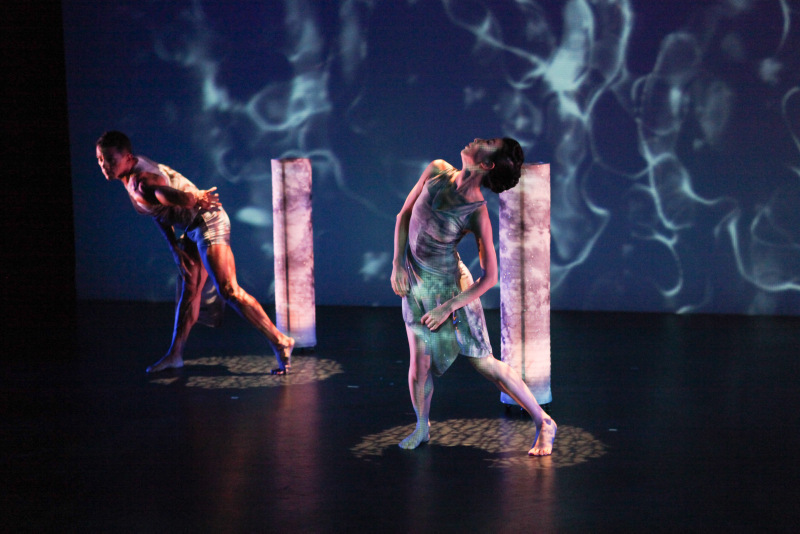 Amanda Selwyn’s work is masterly and emotional expressive, she is truly gifted in the art of dance making. Fall Further, the Pentacle showcase portrayed a wide array of talents, and offered an exciting evening of dance. Pentacle is a leading voice and resource of some of today’s most exciting contemporary dance and performance artists. « Darrell Wood in “A Little Opera, Part 2” in 1982. Choreographed by Darrell Wood.